Bühler technology is enabling the world’s largest fig grower, the Specialty Crop Company, to double its processing capacity to 20,000lb per hour and reduce the increasingly expensive costs associated with sorting by up to 90 per cent. The Sortex F optical sorter is helping the company, which is based in California and was founded by Kevin and Diane Herman in 1989, to provide its customers with dried figs that are free from damage and foreign material, including wood, rocks, puncture vines, bird pecks, sunburn and mold. Although figs are Specialty Crop’s main product, they successfully grow kiwi, persimmons and pomegranates too. Additionally, they experiment with other produce, and at the moment, are attempting truffles and goji berries. Remarkably they also farm almonds, pistachios and walnuts, and are ranked among the world’s top 25 nut growers. Speciality Crop’s ranches are located in California’s Madera and Merced counties. “Our company mission is to provide consumers with healthy food that is sustainable and tastes great. We farm about 8,000 acre, and about half of that is given over to figs. I have been growing figs for a long time,” Kevin admitted. 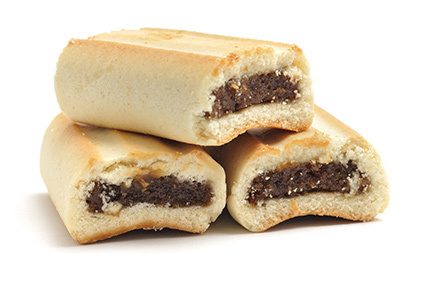 Some 5,500 tonne (of the industry’s 10,000 tonne) of figs a year are processed at Specialty Crop’s Madera plant. They consist of five main types – Mission, Conadria, Sierra, Tiger and Brown Turkey – and a fifth of the crop is grown organically. About 90 per cent of Speciality Crop’s dried whole figs are sold to leading buyers in the United States. “The figs can also be imperfect. For example, they can be smashed or have dark spots, or blemishes caused by bird pecks or weather-induced mold – or even sunburn in hotter years. After mechanically cleaning the product, the contamination entering the sorter is around 8-10 per cent,” he added. As Kevin stated, quality control requirements can vary from one fig variety to another. “As a grower, I must meet an incoming tolerance, but the packer must meet a much more stringent outgoing tolerance level,” he added. “And if we’re dealing with whole figs, going into a consumer package directly, they must look perfect. For paste and industrial use, tolerances for defects are greater, since they can be ground up and still used,” Kevin said. “FM aren’t allowed, and neither is mold. The sorting criteria are easy to set up on the Sortex F and the sensitivities settings can be adjusted, so that I can easily meet my customers’ specifications,” he added. “Besides this, we can now do it with three hand sorters instead of needing 24. Before we got the sorter, some figs with defects were getting through our handpicking tables. But not anymore, so customer complaints are down,” Kevin said. Farmers have been struggling with a shortage of workers and increasing labour costs, so to be able to stay in their line of business, they are having to look for alternative solutions. “Bühler’s sorting technology has enabled us to keep our labor cost under control, plus I can trust the Sortex F to accurately and reliably sort our figs 24/7,” he added. Stephen Jacobs, business development manager, North America, Bühler Group, said, “The advanced camera technology used on the Sortex F can reliably differentiate between a good product and a bad one, enabling problematic FM and defective product to be accurately removed,” he added. “Furthermore, Specialty Crop’s choice to invest in the larger F2 model has enabled them to sort 20,000lb (9,000kg) of figs per hour – twice what they were able to sort previously,” Kevin stated. So, why did Kevin choose Bühler’s Sortex technology? “We grow almonds and I was talking to a few almond handlers about our issues when sorting figs. One of them suggested that I talk to Bühler. I’m delighted I did, because the technology is fantastic and their customer service is peerless,” he added.